Philip G. Alston arrived in Washington last fall on a mission from the U.N. Human Rights Council to document poverty in America. At his first meeting, Alston said he was told by a senior State Department official that his findings may influence the United States' membership in the human rights body. Two other people at the meeting, speaking on the condition of anonymity, confirmed Alston's account. State Department spokesman Noel C. Clay declined to comment on the meeting, which was held Dec. 1 at State. U.S. Ambassador to the United Nations Nikki Haley announced this week that the United States would withdraw from the Human Rights Council, citing what she called its bias against Israel. Haley also threatened a U.S. departure in 2017, saying the council whitewashed dictators' abuses. 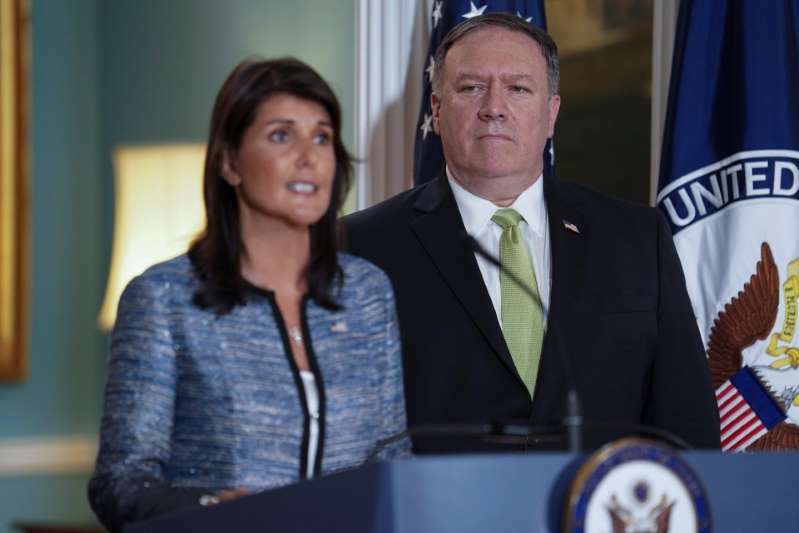 Conservatives have for years pushed for the United States to withdraw from the body, which investigates allegations of human rights abuses in U.N. member states. But the fact that a State Department official had made the connection between the forthcoming report and U.S. participation in the U.N. panel underscores the Trump administration's sensitivity to criticisms of its policy. The 20-page Alston report found that the United States has among the most chronic rates of poverty among all nations in the developed world and that President Trump's policies are likely to exacerbate them. Liberal critics seized on Alston's findings to say the Trump administration was failing to help the nation's poorest citizens. But in a letter to Sen. Bernie Sanders (I-Vt.) released Thursday, Haley argued that the council should instead focus on developing countries like Burundi and the Democratic Republic of Congo. Alston formally presented his findings to the Human Rights Council in Geneva on Friday, arguing that "when one of the world’s wealthiest countries does very little about the fact that 40 million of its citizens live in poverty, it is entirely appropriate for the reasons to be scrutinized." Kenneth Roth, executive director of the advocacy organization Human Rights Watch, said he believed the U.S. decision to leave the council was motivated primarily by Israel policy, but he said Alston's presentation might have sped it up. "The driving factor was Israel, but the timing could have easily been affected by a desire to not be in the room when Alston reported on the U.S. going backward in not addressing poverty," he said. Alston said he was initially invited by the U.S. government under President Barack Obama to study poverty in America. The invitation was extended again by U.S. officials under then-Secretary of State Rex Tillerson in 2017, he said. “We look forward to welcoming Mr. Alston to the United States for a country visit this December,” Flacelia Celsula, part of the U.S. delegation at the United Nations, said in a meeting of the Human Rights Council on June 8, 2017. The report said the United States has the highest rates of youth poverty, infant mortality, incarceration, income inequality and obesity among all countries in the developed world, as well as 40 million people living in poverty. Most of the statistics cited in the report date from 2016, before Trump was elected. Alston said the comments from the State Department official did not influence his work.